@AnteUpMagazine Worlds here, @WSOP Main Event Final Table on TV ... play your game and watch as others go for a bracelet. 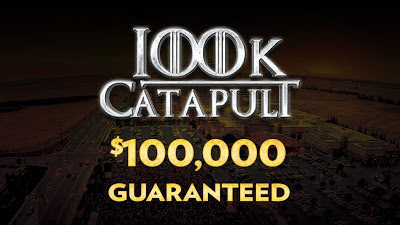 Head there o @Thunder_Valley tonight at 5pm for the 3rd starting fight of the $160 buy-in Catapult, a $100,000 guarantee with 5 total starting flights, 12,000 starting stacks and a history of drawing fields of more than 1,000 total entries here. Watch Day 2 of the WSOP Main Event Final Table while playing tonight, catch that action on one of the many big screen TV's throughout the tournament room. Here is the structure sheet for this and all 18 tournaments in the Ante Up Worlds series.